Get to know the final three composers featured in BLO's upcoming community concert series, Crossing the Line to Freedom, created in partnership with Castle of our Skins. In the spotlight this week: Adolphus Hailstork, Nkeiru Okoye, and Anthony R. Green! “If you write it, we’ll play it!” These words of encouragement from a high school music teacher proved pivotal to a teenaged Adolphus Hailstork, setting him on the path to becoming a composer. Born in 1941, Hailstork grew up in Albany, New York, where he took piano and violin lessons, sang in choirs, and wrote his earliest compositions. 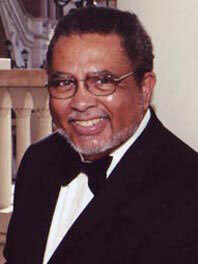 After attending Howard University, Hailstork spent a summer at the American Conservatory at Fontainebleau, pursued graduate study at the Manhattan School of Music, and served in the U.S. Armed Forces in Germany, all before receiving his doctorate at Michigan State University in 1971. A teacher as well as a composer, he has taught at several universities, most notably Norfolk (VA) State College, where he was a member of the faculty from 1977 until 2000. The singing voice is essential to Hailstork’s music, both in the sense that he writes a great deal of vocal music and in terms of his stylistic concerns. Hailstork has described his musical language as “always lyrical, tonal, narrative, dramatic, and propulsive,” and elaborates that he was never interested in writing overly esoteric works: “I discovered that if, after working for days on a piece, I couldn't sing any part of it, it wasn't in me as a physical thing, then it was meaningless!” He has written in genres ranging from opera and oratorio to symphonies and chamber music; notable works include American Guernica (1983), a remembrance of the four children murdered in the 1963 Birmingham church bombing, and a Piano Concerto (1992) co-commissioned by five orchestras and championed by the pianist Leon Bates. ROBESON: The Opera is Hailstork’s third opera. The piece tells the story of the iconic artist and activist Paul Robeson, who won fame and admiration for his stunning creative talents but was subsequently ostracized due to his radical political views. Premiered in 2013 by the New Jersey-based opera company Trilogy, the piece features a libretto by Shauneille Perry that retrospectively narrates Robeson’s tumultuous life. 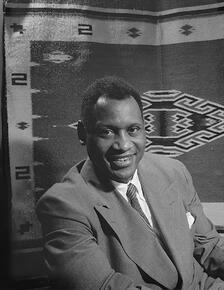 The score combines music central to Robeson’s own repertoire with original material. As the singer Kevin Maynor, who premiered the title role, has noted, Robeson “was very concerned about the plight of his people….Robeson is important to us not just because of his voice and his stature, but because he really cared deeply.” Hailstork’s opera honors that legacy, reintroducing a citizen-artist who withstood historical erasure to a new generation of listeners. Nkeiru Okoye writes music that reflects her diasporic heritage and wide-ranging artistic interests. The daughter of an African American mother and a Nigerian father, Okoye grew up in New York City but spent much of her early childhood traveling back and forth to visit family in Nigeria. After becoming interested in composition as a teenager, she attended Oberlin Conservatory, where she majored in music theory and composition while also studying piano and West African culture. Okoye received her doctorate at Rutgers University, where she studied with the composer Noel Da Costa. In 2012, she joined the faculty at the State University of New York at New Paltz, where she currently directs the composition program. Okoye’s music has been described as quilt-like in its complexity, a carefully crafted blend of myriad sonic elements. She cultivates an individual voice that rejects narrow ideas of what “black composer music,” as she puts it, might sound like. 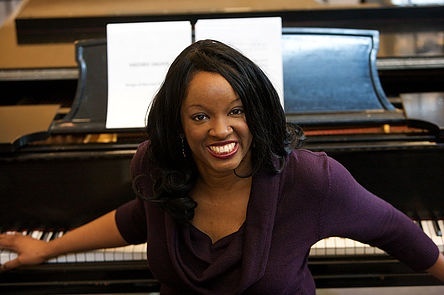 Instead, she draws upon her own expansive musical interests: “It’s surprising to see how well Schoenberg and funk can sit side by side at the symphony.” Okoye is also committed to using music to educate audiences about various elements of African American culture. Examples range from Invitation to a Die-In (2017), a multifaceted “sung story” in memory of Trayvon Martin, to Tales from the Briar Patch (2019), a forthcoming piece based on the Bre’r Rabbit folktales. Okoye’s opera Harriet Tubman: When I Crossed That Line to Freedom represents the culmination of more than a decade of creative work. 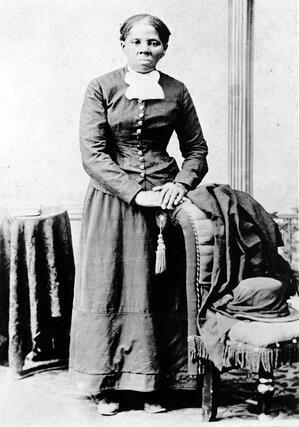 Okoye became interested in writing a piece about Tubman while living in Baltimore (Tubman’s birthplace), and spent years researching the heroic abolitionist’s life. The opera not only narrates Tubman’s experiences – first in slavery, then as a rescuer of enslaved people – but also conveys the historical soundscape of Tubman’s own time. “There was this whole world of music in her day,” Okoye explains. “Work songs, protest songs, spirituals, children's songs, ballads; there's something called a ring shout, where the singers form a circle to sing hymns; there's blues, gospel, quartets, call and response; even classical forms, like certain dances, or maybe a sonatina; and then there are the minstrel songs - it's all music of her world.” The scale and scope of the two-act opera provide an ideal venue for this music to be heard and for Tubman’s story to be told. 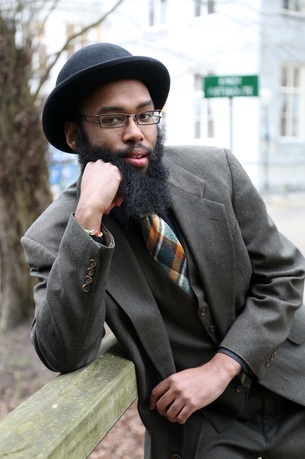 Anthony R. Green is a composer and performer dedicated to advancing social justice through the arts. He grew up in Rhode Island and studied piano as a child; a major early artistic influence was his family’s church, the Olney Street Baptist Church in Providence, where he later became a pianist, organist, and choir director. Green is a graduate of Boston University and New England Conservatory, where his teachers included Lee Hyla and Robert Cogan. Since 2013, Green has lived and worked in Europe. His music has been performed in more than 20 countries, and current projects include commissions for countertenor Carl A. Alexander and percussionist Bill Solomon, as well as the composition of song cycles in German, French, and Italian and ongoing work on (re)Aktshun, a collaborative, experimental composition project. In addition, as co-director of Castle of Our Skins, Green works to create concerts and educational programs that celebrate African American artistry. Join Boston Lyric Opera and Castle of our Skins to celebrate these Legendary Liberators! Free community events on May 31, June 1, and June 7. Lucy Caplan is a Ph.D. candidate at Yale University, where she is writing a dissertation on African American opera in the early twentieth century. She is the recipient of the 2016 Rubin Prize for Music Criticism. Images (top to bottom): Hailstork, headshot; Paul Robeson in 1942 (Gordon Parks, Office of War Information); Okoye, headshot; Harriet Tubman (H.B. Lindsley, Library of Congress); Anthony R. Green, headshot.